Are you the guy that wears his team jersey while watching the game? Do you wear their helmet, well that’s just weird. Now if you are a girl wearing the helmet that could be pretty cool! These sports displays are for you. The gold record displays have the athletes stats laser engraved into the record along with a large photo of the athlete in action. All sports from football, Olympics, soccer and even horse racing. 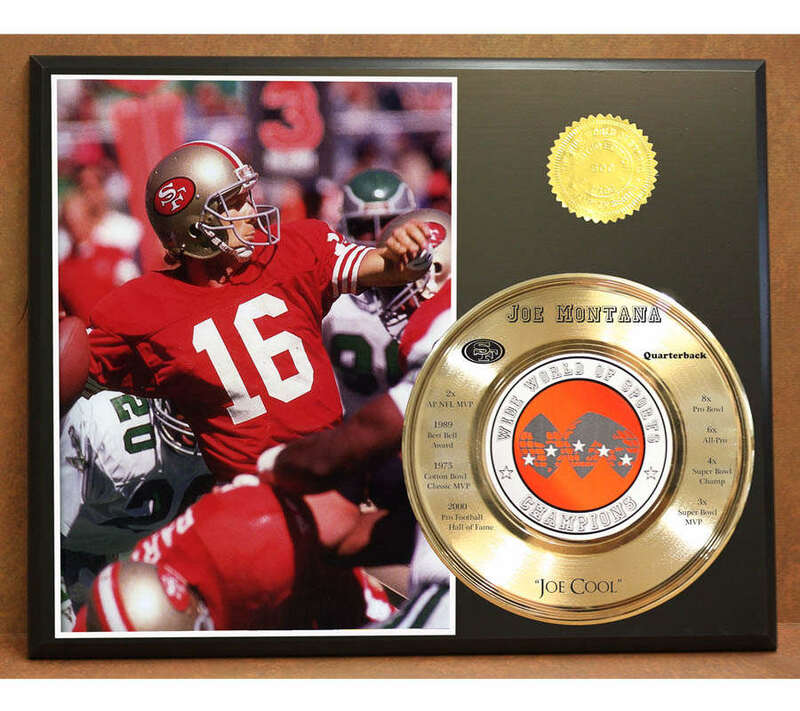 This display is on a black wood plaque with a mare resistant finish, you can actually touch the gold record. A limited edition with a certificate of authenticity. A free gift box and free domestic priority shipping. Our other sports line is our “signature series”. 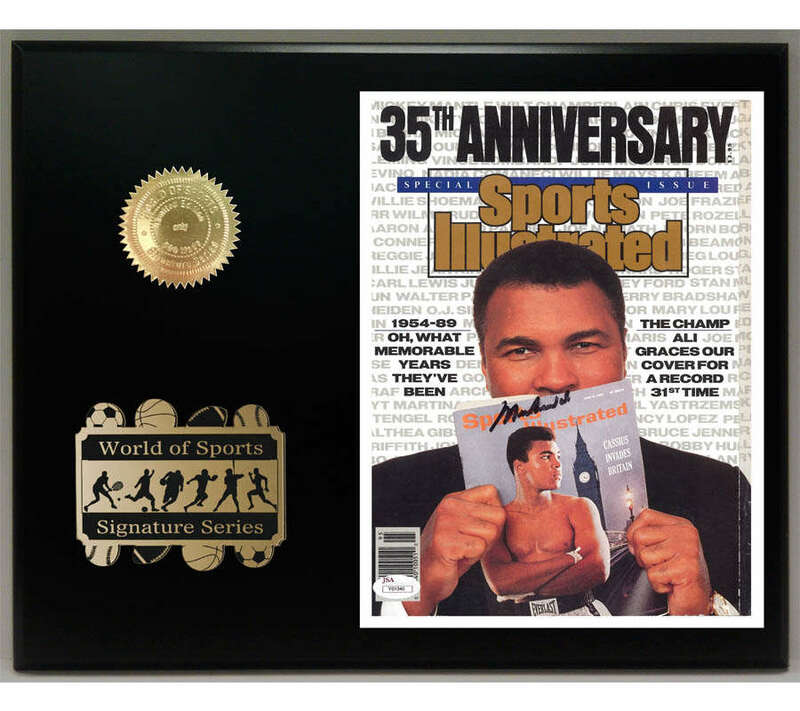 Your favorite athletes’ autographs are printed on the photo. Can you imagine the cost of real hand signed autographed photo from Babe Ruth, Joe Namath or Jennie Finch? Who’s Jennie Finch? Well, our autographs look real but they are reproductions, printed on the photo. Great for man caves and those women caves where you might wear the helmet, just saying!